I feature a lot of soft, pretty fantasy covers, but I absolutely had to include this one because it's so unique and fun. 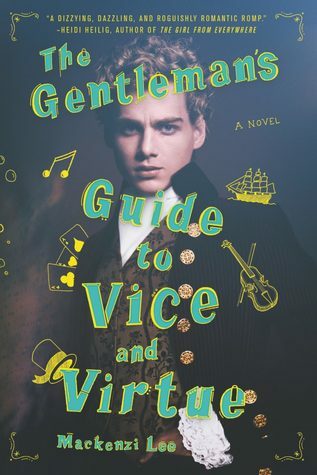 I love that they took the concept of your typical Victorian Jane Austen or classic novel cover (ya know, fancily dressed person) and subverted it. First of all, that cover model is swoony and I love the "try me" expression. Second, the school notebook doodle overlay gives it a flair of playfulness, a little attitude and spark. It's really fun, and I can't wait to see it in person...and read all those lovely lovely pages about badass bi Victorian adventurers. Yes, good point! I still need to read that but I've no doubt I'll love it.